Good alignment of machine shafts results in lower power usage, longer coupling, bearing and seal life and ultimately less maintenance. Machines that change temperature between offline and running condition pose a challenge as the shafts need to be purposefully misaligned to end up at the correct position in running condition. Hot alignments and thermal growth calculations used to be the only tools available to overcome this hurdle. Today hot alignments are still prescribed by a large number of OEMs and equipment packagers. In practice, hot alignments have been proven to produce inaccurate results due to the large initial movement just moments after machine shut down. 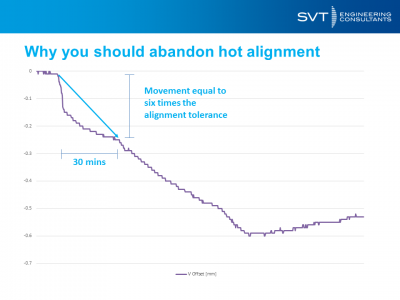 Hot alignment practices will not capture this initial movement due to the setup time required for the alignment measurement. Recently SVT was asked by a client to correct the alignment for a number of critical machines. By accurate measurement on one package type it was found that within 5 minutes after shut down the machines had already moved by 1 times the accepted alignment tolerance. In the time taken to isolate the machine (which is typically around 30 minutes across most sites – shutting down, removing guards, locking on) that dynamic movement and cooling had caused the alignment tolerances to be exceeded six fold. The data illustrates why hot alignment is a flawed practice that results in shaft alignments being outside standard tolerances and hence premature failures in couplings, bearings and seals occur. 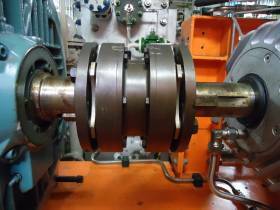 Dynamic misalignment occurs when machines run up and reach operating temperature, changing the relative offset and angle at which shaft centrelines connect at the coupling. Original Equipment Manufacturers (OEMs) attempt to provide guidance to help align the machines they sell, but this is not adequate once they have been packaged onto a skid. OEMs only specify the thermal growth for their machines, but this information isn’t combined with the other machines that they’re coupled to or the thermal growth of the skid they’re mounted on. The measured growth on their machines may well be accurate, but this is in isolation and doesn’t give the whole picture. Often the driven compressor or pump is working with process that is very hot or very cold, which affects the way it, the pipework and the skid around it grows. As a trial thermal measurements were taken around the machines and skid to attempt to calculate the thermal growth using known linear growth formulas. The results were still not satisfactory: the alignment would have still been 3-4 times outside of the tolerance. This shows that thermal growth and dynamic machine movement is a complex problem that can’t be overcome by using the old methods. To align properly you need to measure the relative casing movement from an offline situation to running situation (or the reverse) to determine the actual thermal and dynamic offsets. 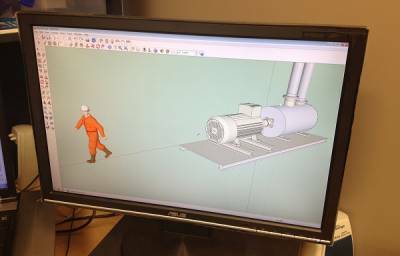 The results of both of these scenarios should show the same relative movement of the machines. Knowing the relative movement allows alignment compensation to obtain a good alignment in running condition. SVT can measure dynamic offsets if applicable, align your machines, review your practices and train your on-site staff to improve alignment on your site. Gerard Brookhuis is a senior consultant in the rotating equipment reliability team at SVT Engineering Consultants with 15 years' experience. 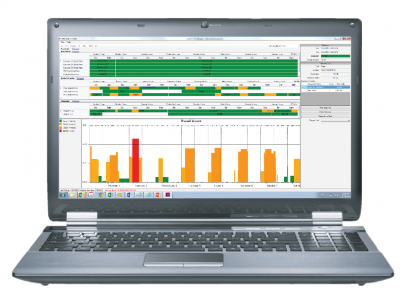 Getting certified in Machine Condition Monitoring techniques is becoming more important as operators increasingly require it to work on their sites. Operators across the oil & gas, mining, utilities and government sectors are more often than not requiring that their recruits, existing staff and contractors have a certain level of certification to perform condition monitoring tasks, including data collection, analysis and interpretation, prognosis, and recommendation for targeted remedial action. The requirement to be certified is being driven by the need to develop independently assessed competency in technologies that reduce operating costs, improve machine reliability and availability, reduce downtime and manage operational risk. Detecting early symptoms of functional failure before it impacts your operations, safety and the environment, is vital in managing operating costs and risk. The decision is in making informed operational and maintenance decisions, as opposed to reaction based decisions which are often far more costly, dangerous and can have a direct impact on production. Getting certified in vibration, lubrication and infrared thermography for condition monitoring is a stamp of recognition to show that you understand the theory, its application and have the relevant experience necessary to competently measure and analyse the data. Being certified to ISO standards means practitioners have been trained to comply with an internationally recognised body of knowledge. A condition monitoring program relies on consistently collected quality data to provide the basis for meaningful interpretation and recommendations. Training ensures you’re doing things the right way that produces consistent outcomes, essential to getting value out of your program on site. To be internationally recognised, a condition monitoring technician needs to take part in three party certification: the student, the trainer and the certification body all independent from one another. Our courses are approved by the British Institute of Non-Destructive Testing (BINDT) and the Australian Institute of Non-Destructive Testing (AINDT). SVT offers varying levels of certification in vibration (VCAT I, II & III), lubrication (LCAT I & II) and thermography (TCAT I & II), making us the largest provider of certified integrated condition monitoring training in Australia. See our training website to find out more. Bassim Ismail is the head of the Training arm of SVT Engineering Consultants and has more than 25 years’ experience in condition monitoring. A quality noise survey reduces cost for operators by recommending practical, targeted controls for dominant sources of hazardous exposure. Many surveys fail to do this, committing facility operators to wasteful expenditure on ineffective noise controls. Wasteful spending includes noise controls on equipment not in a work area and therefore not exposing people to hazards. Controls that impact on the operation of equipment or introduce safety risks are also impractical. We have also seen controls recommended in noise reports that simply do not produce any attenuation in noise. Poorly conceived controls can arise when noise officers aren’t able to attribute the levels they measure with the actual sources of exposure. A noise survey is a regulatory requirement and is a key step in reducing exposure for workers. It identifies sources of hazardous noise by measuring and ranking noisy equipment that contribute to exposure. Production facilities often have significant numbers of employees whose exposure exceeds the allowed limit, 85 dB(A) averaged over an eight-hour shift. When a noise survey finds excessive exposure, employers must commit to reducing it through a noise control plan. Using the noise officer’s time effectively: Hazardous exposure is often caused by a small portion of the equipment on a site. Focusing on equipment that exposes workers to hazardous noise minimises the time required to collect and process data. This approach reduces cost while ensuring that the important data are captured. Recommending effective controls: Effective noise controls reduce exposure without compromising safety or operations. The best return on investment, measured as a ratio of risk reduction to cost of control, can be achieved by treating the noise sources that contribute most to exposure. An effective noise control plan also aligns with the organisation’s goals and strategies, business drivers and values. Willingness to accept trade-offs between risk and benefit or operational and capital spending vary between companies and industries. These factors determine the best way to manage noise for each company. Managers armed with a targeted noise survey can commit to controls that are practical to implement at their facility and are effective in reducing exposure. Jim McLoughlin is the head of the Noise business unit at SVT Engineering Consultants. Using Non-Intrusive Inspection (NII) to complement Risk Based Inspection (RBI) can decrease shut down times, reduce inspection costs and improve integrity outcomes for pressure equipment. Taking pressure vessels offline, purging and entering them for visual inspection means high costs and potential safety implications for inspectors. Non-Intrusive Inspection, using emerging non-destructive testing (NDT) techniques, allows some vessels to be inspected in service and produces quantitative data that can be accurately trended. With traditional visual inspection, a person enters a vessel and records pass or fail comments on parts of the equipment susceptible to damage. The equipment used in NII gives precise, repeatable information on wall thickness and materials flaws, providing that experienced NDT providers are engaged. Facility operators and maintainers can determine which vessels could be inspected with NII by performing an applicability screening. 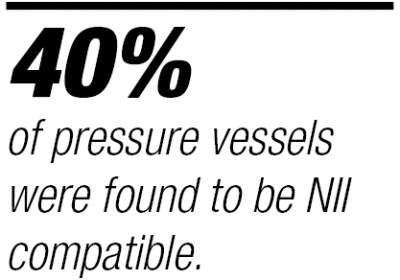 On a recent engagement that involved applicability screening, we found that around 40 percent of the vessels reviewed could be inspected in service using NII techniques. For new vessels that are designed with NII in mind, the opportunity to maintain integrity and save on maintenance is greater. Data from NII can be used to support and review inspection intervals defined in an RBI plan, a requirement of a continuous risk management process. Dr. Yury Sokolov, CPEng is a consulting integrity engineer who works with SVT Engineering Consultants. 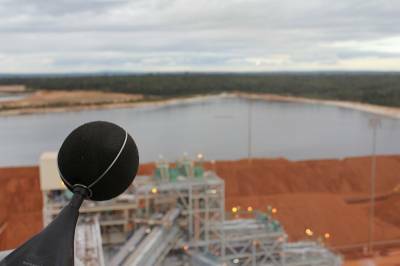 The Queensland Department of Natural Resources and Mining has released a new guidance note on noise management that aims to provide greater clarity on what mine operators must do to comply with safety acts. QGN 22: “Guidance Note for Management of Noise in Mines” sets out a risk management framework with the goal of reducing noise exposure to as low as reasonably achievable. 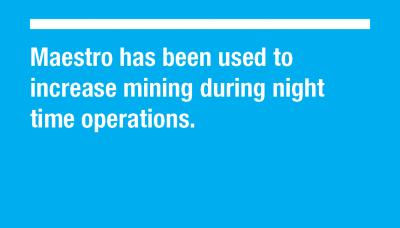 The document, published at the end of August 2014, outlines how a risk based approach can be employed by mine operators in Queensland to manage occupational noise. The guidance note, the first of its kind in Queensland, was developed and agreed jointly by government, industry and trade union representatives. The note builds on existing regulations, explaining how to approach, determine, analyse and monitor noise exposure risk. 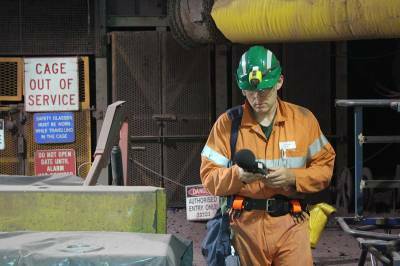 It emphasises the need to manage risk using a noise management plan as part of the mine’s health and safety management system. “For a risk to a person to be at an acceptable level, operations at a mine must be carried out so that the level of risk from the operation is not only within acceptable limits but also as low as reasonably achievable,” the document says. SVT is experienced in helping production facilities work towards compliance and to demonstrate to regulators that the noise exposure of their employees is as low as reasonably achievable. Richard Pamley is a principal noise consultant with SVT Engineering Consultants. Operations in marine settings can be impeded by unnecessarily conservative noise boundaries that are defined by assumptions instead of actual data. Noisy underwater activities such as seismic surveys and piling can damage the hearing of marine fauna, which they rely heavily upon. Dolphins, for example, use echo location to navigate and find food. The current way of managing noise exposure for marine fauna works on a series of hard boundaries. For example when fauna enter a predefined exclusion zone around operations, work must cease and can’t resume until they have left the area. This method of limiting noise exposure is not necessarily effective in protecting fauna as actual exposures are unknown. It is also not practical for operators performing seismic surveys or piling to comply with this approach because of the prohibitive cost of suspending work — a seismic survey cost as much as AU$700,000 per day. The best way to maximise the operating envelope of noise constrained activities without compromising fauna hearing is to use an adaptive approach. The benefits are that fauna hearing is not compromised and the operational noise envelopes companies work within are maximised. 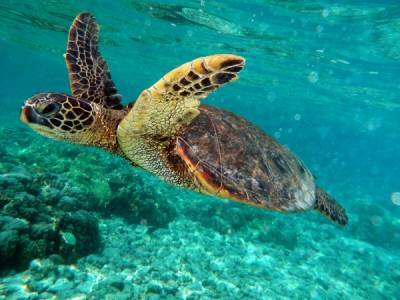 SVT uses a real-time adaptive noise management tool that combines marine fauna observer data, operations data, measured noise data and real time modelling to determine actual marine fauna exposures. The tool provides operators with an evidence based system that enables them to make the right decisions for their business. 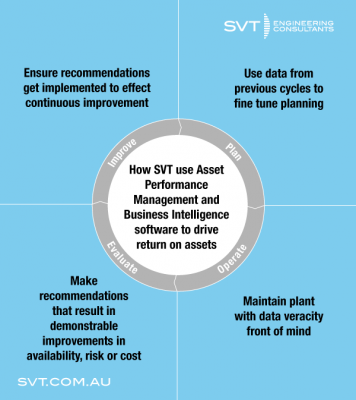 Contact us to find out more about SVT’s adaptive underwater noise management tool. Demonstrating regulatory compliance for noise exposure in offshore environments is difficult when there is no process or documented evidence of due diligence. With noise it is not always clear how you comply: regulations can be vague and the burden of proof for compliance is on the proponent. Using a clear process to decide on noise controls makes achieving compliance simple. The ability to demonstrate that noise control has been implemented at an ALARP (As Low As Reasonably Practicable) position gives regulators surety that operators have gone through a process that produces the best and most balanced noise control scenario. The legal definition of ALARP in Australia states that a calculation must be made to show that the noise controls chosen are effective and that a disproportionate amount of effort would be required to produce additional benefit. ALARP decisions get reviewed by regulators, such as NOPSEMA in the case of offshore oil and gas facilities, and must be rigorously defined. SVT’s ALARP tool Podium makes the act of achieving compliance simple, by using a tried and tested process developed with multinational resources companies. The tool has a 100 percent pass rate for all regulator audits. Podium brings noise control expertise into the room to guide the process while combining corporate values and relevant stakeholders (safety, maintenance, operators), allowing them to have input to ensure the controls are effective and practical. In 2014, SVT is bringing Podium to market through the internet in a format that can be used by clients in remote locations as well as in the meeting room. By using Podium, your compliance issues around noise emissions will become simpler to deal with and you can focus on solving other issues. Try our ALARP demonstrator to see how you come to an ALARP decision based on real world inputs. Small Bore Fitting (or small bore connection) failures are amongst the highest causes of hydrocarbon releases in the oil and gas industry. 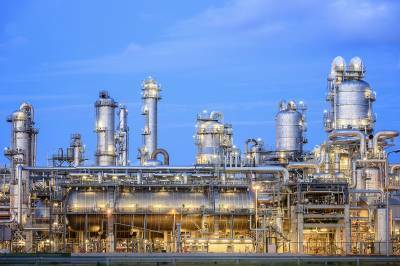 Oil and gas facilities have hundreds of SBFs, including instrumentation tubes, measurement points and thermowells. 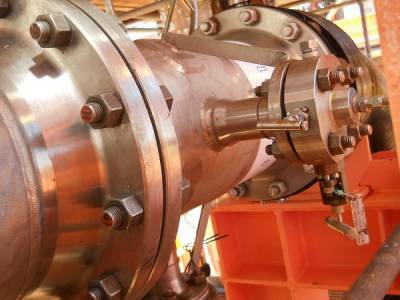 Failure occurs when flow or structural excitation causes an SBF to vibrate out of sync with the main pipe. The risk to safety is well understood: an ignition source near a gas leak can cause a major accident event. Operators have told SVT that an SBF failure can cost anywhere between A$1 million and AU$10 million due to lost production and repairs. The Offshore Petroleum and Greenhouse Gas Storage Act 2006 regulates safety, environmental protection and well integrity for petroleum facilities in Australian waters. The Act requires that operators of petroleum facilities reduce risks to health, safety and the environment to a level that is as-low-as-reasonably practicable (ALARP). ALARP is the point where the cost (in terms of time, money and effort) of further risk treatment is grossly disproportionate to the reduction in risk that would be achieved. The National Offshore Petroleum Safety and Environmental Management Authority (NOPSEMA) is charged with regulating the Act. Due to an overall increase in the number of reportable hydrocarbon release incidents and the discovery of SBF failures by NOPSEMA inspectors, the enforcement of ALARP requirements around SBFs has increased. Operators expect vibration vulnerability to have been designed out of their SBFs. However, design studies only consider a limited operating envelope. Whenever process rate or conditions change, there is the possibility of newly excited resonances that cause SBFs to fail. Additionally, changes in personnel and responsible entities between project phases may result in the recommendations of SBF design studies not being captured in final designs. Installation can introduce additional vulnerabilities. Small bore piping runs are often not documented in detail, which means that the installer has significant latitude to decide the as-built condition. SBF installers may not have management processes in place to ensure that SBF installations are fit for purpose with regard to vibration vulnerability. Acoustic and flow-induced SBF vibration is strongly dependant on process conditions. Small changes in gas composition, pressure or flow velocity can move the peak frequencies of these sources too close to an SBF resonance. The resulting step change in vibration level significantly increases the risk of failure. Maintaining a register of your SBFs is the best way to assess and manage your risk. Identify all SBFs and where they are and then rate them using your risk matrix. By documenting the risk of failure thoroughly, you can go some way to demonstrating the management of risk to ALARP. It is possible to identify some vibration issues by visual inspection. SBFs that are visibly moving are almost certainly vibrating in excess of the acceptable level. Most SBF vibration issues can only be identified by measuring the vibration level. 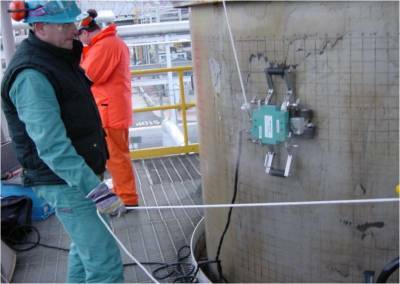 Including vibration surveys on high-risk SBFs in your condition monitoring program should be low cost relative to the reduction in risk achieved. If that is the case on your facility, it should form part of your ALARP position. Often the first action taken with a vibrating small bore fitting is to brace it. This works in the majority of cases, provided it is done in the right way. Planes of vibration need to be considered carefully by a specialist if the fix is to work and the element to which you brace the SBF needs to be selected properly, otherwise the risk of fatigue can be increased. Contact our integrity team to find out more.